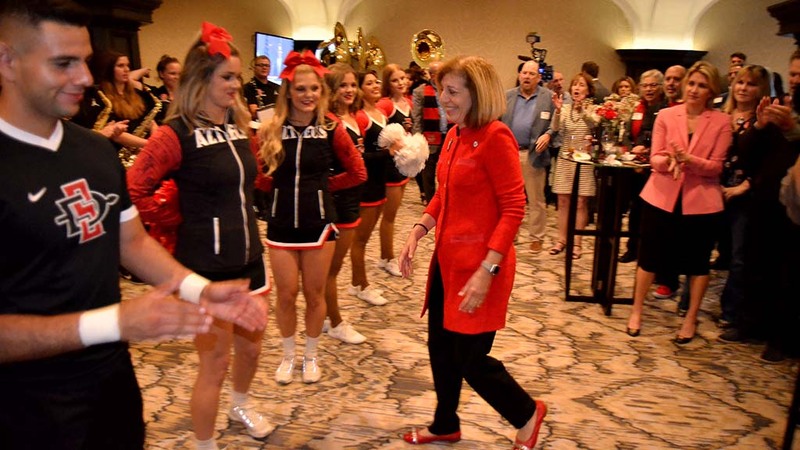 Wearing San Diego State red and black, Councilwoman Barbara Bry was called up to a stage in the basement ballroom of the U.S. Grant Hotel. 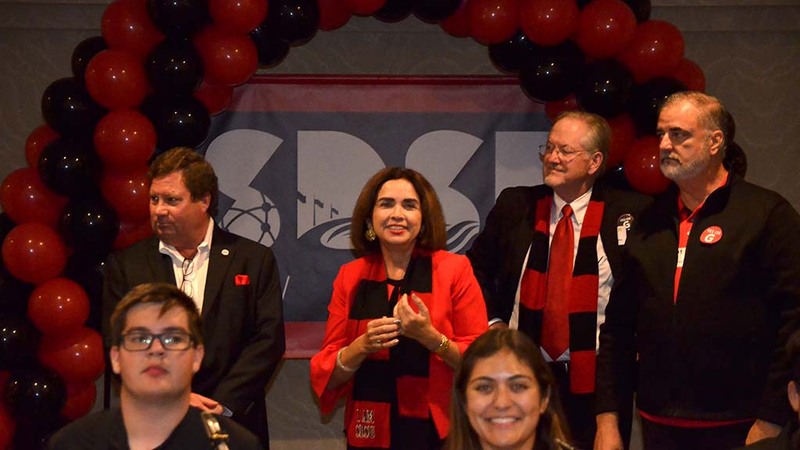 Though it might be days before SDSU West’s plan for the Mission Valley stadium site is formally certified as victorious — as Measure G on Tuesday’s ballot — Bry celebrated with hundreds of others. With 72 percent of precincts reporting, SDSU West, or Measure G, was leading the SoccerCity initiative, or Measure E, on Tuesday night. Voters gave Measure G a 54.9 percent “yes” vote while only 29.7 percent of voters approved competing Measure E.
Both initiatives would redevelop the SDCCU Stadium site into a mix of commercial and residential space, a water park and an athletic stadium. SDSU West would come with a 35,000-seat football stadium for San Diego State University, while SoccerCity pledged a 23,500-seat stadium for a professional soccer team. Crucially, according to multiple SDSU West supporters, Measure G included a planned campus extension while Measure E didn’t explicitly state that one would be included. 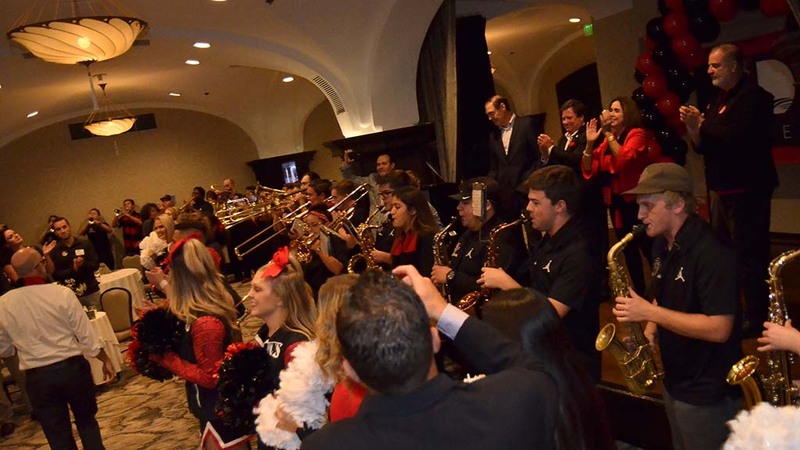 SDSU originally discussed the expansion with the La Jolla-based investment group FS Investors. The deal fell through in May 2017, leading FS Investors to begin the Measure E campaign later that year. SDSU officials later unveiled a proposed measure of their own, Measure G.
“While Measure G has been courting politicians and City Hall insiders, we’ve been working to earn the support of regular San Diegans who are excited about SoccerCity and appreciate that Measure E will produce twice as much tax revenue for the city as Measure G, pay fair market value for the land, provide for SDSU’s needs and transform the site into a place that offers something for everyone — all at no cost to taxpayers,” Stone said. SDSU West supporters included San Diego County Supervisors Kristin Gaspar, Dianne Jacob and Greg Cox, the Lincoln Club of San Diego County, the San Diego Chamber of Commerce, the Sierra Club, the San Diego County Democratic Party and San Diego City Council members Bry, Lorie Zapf, Chris Ward, Myrtle Cole and David Alvarez. SoccerCity received less public support from local elected officials, but supporters note that former Olympic soccer stars Landon Donovan and Shannon MacMillan backed the initiative. In addition, San Diego Mayor Kevin Faulconer and District 7 City Councilman Scott Sherman, who represents the district that includes the stadium site, also announced their support for SoccerCity. Had both measures received more than 50 percent of the vote on election day, the measure with more votes would have been declared the winner. The backing group of the successful initiative will begin negotiations to buy the stadium land from the city. 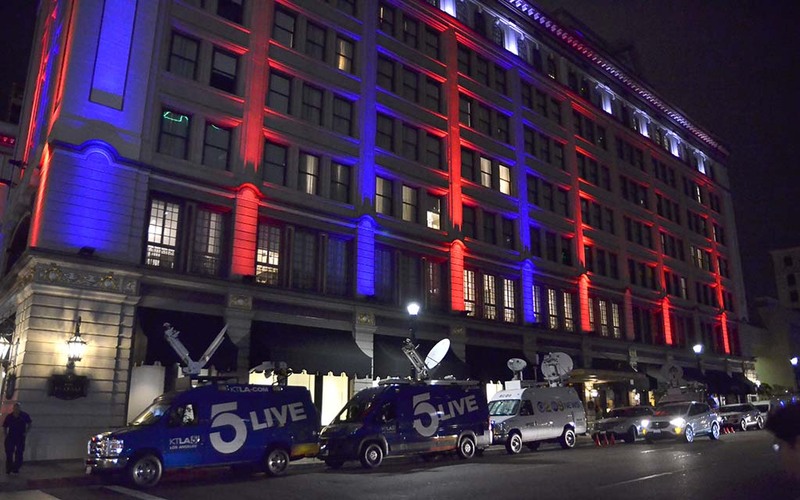 A little after midnight, the Friends of SDSU issued a statement declaring victory. 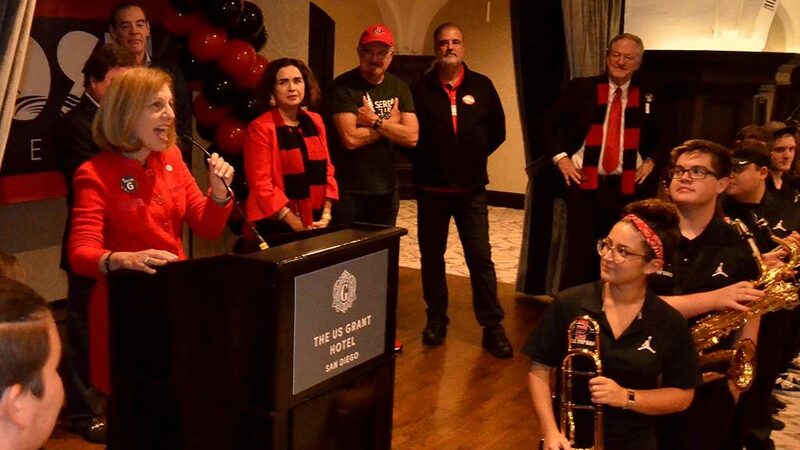 “With the overwhelming approval of Measure G today, San Diego State University will now have an opportunity to grow through an open and transparent process that will benefit our economy long-term,” the group said.